We love to take the little adventurers to the theatre and over the festive period the choice of shows targeting a family audience cannot be beaten. We saw that there was the world premier of Mr Popper’s Penguins showing at The Lowry and decided that this year instead of having a family trip to a Pantomime we would see this instead. What says Christmas better then snow, ice and penguins?! If your children have not watched the movie, then I recommend you do not watch it until after the theatre show. We made the mistake of watching the film in preparation for the show and the film is very different so it lead to very confused little adventurers at the start of the show. But if you get chance, I would recommend reading the book as the show is based on the book so will be a great way of getting the children excited about the show and seeing a book really come to life on the big stage. 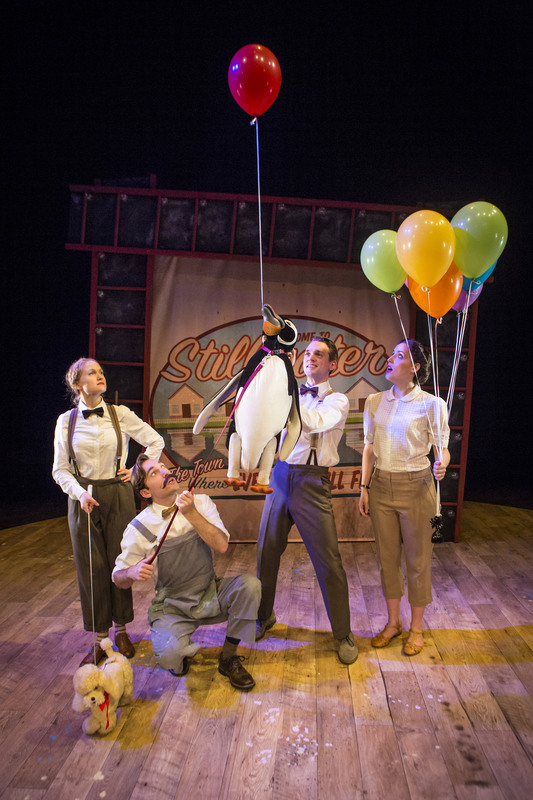 Mr Poppers Penguin is a lovely story of Mr Popper, who is a painter and decorator by day but is really a dreamer of far off adventures, his favourite being dreams of Antarctic adventures. He is astounded when one day a packing crate arrives on his doorstep, out of which waddles a penguin! The story is a lovely, heart-warming story of dream coming true, the importance of belonging and how life changes when new additions come along. The show consists of four fantastic actors doing all the roles and is a jam packed 55 minutes of song, puppetry and fun. 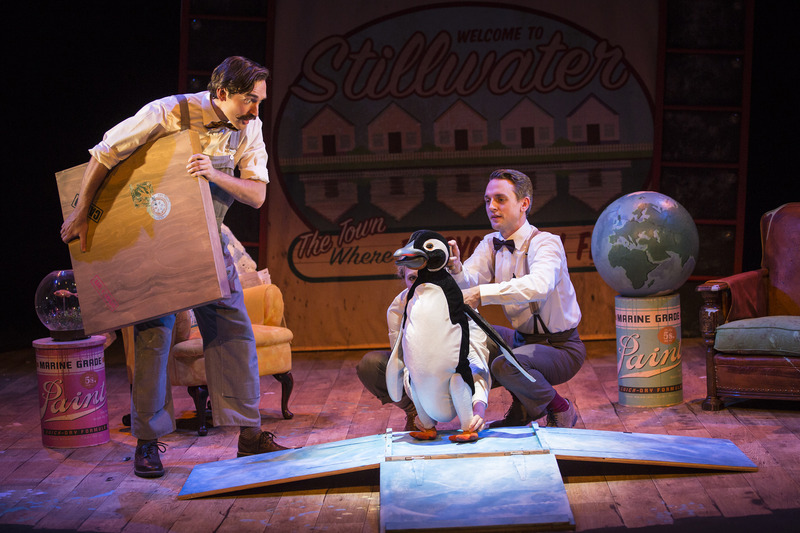 The set and props are basic but these take a backstage once you start following the story along and the penguins and actors truly steal the show. Two highlights for us was the paper aeroplanes zipping their way across the globe to get the explorers to help Mr Popper. It was done really well and I oved watching my little adventurers mesmerised as they thought this paper plane was flying from one person to the next. One of the highlights was the lovely ending off as the penguins along with Mr Popper head to the Antarctic with snow falling, as you looked around the theatre you could see that the children were really wowed! The show is produced by the same team of Tiger who Came to Tea and We’re going on a Bear Hunt and has all the elements of a great family show. The show is aimed at 3+ but I think school aged children, 5+ would fully understand the story and really enjoy the songs. That said we had Zayn with us who is 3 and he did enjoy the show, but I think Maya at 6 years old took much more from the show. 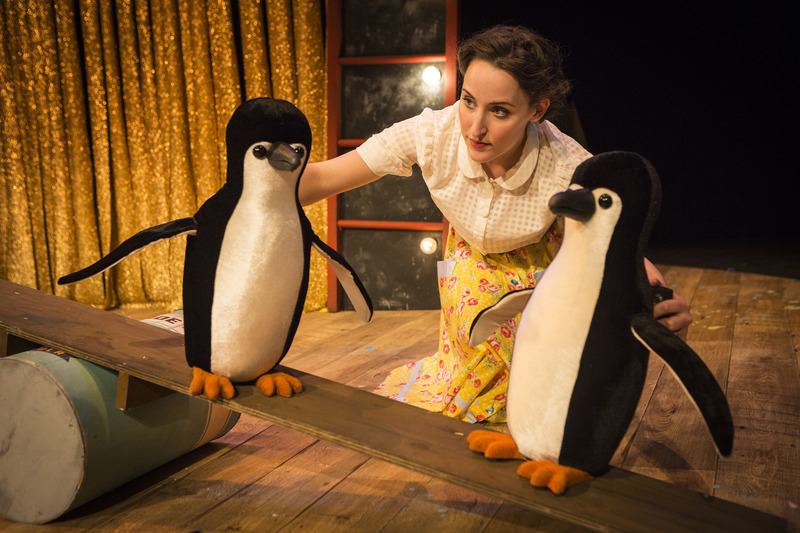 The penguins were great, Maya knew they were puppets but kept commenting on how life like they were. I think there probably could have been more interaction with the children in the audience but the final song when the actors have good dance along with the children is a lovely touching and our little adventurers waddled out of the theatre with huge smiles on their faces! 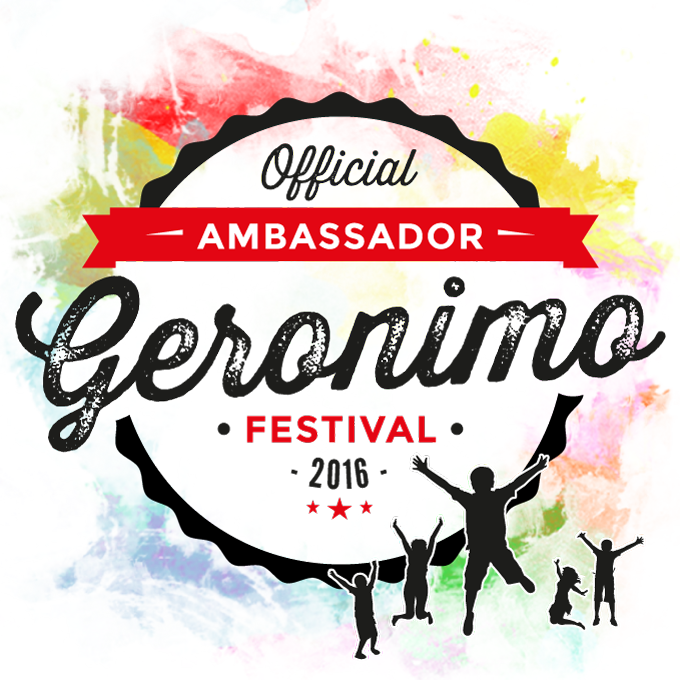 The show is on at The Lowry until 10th January and tickets are priced from £17 and can be booked online here. I’ve never actually read the book or seen the film but this sounds lovely.